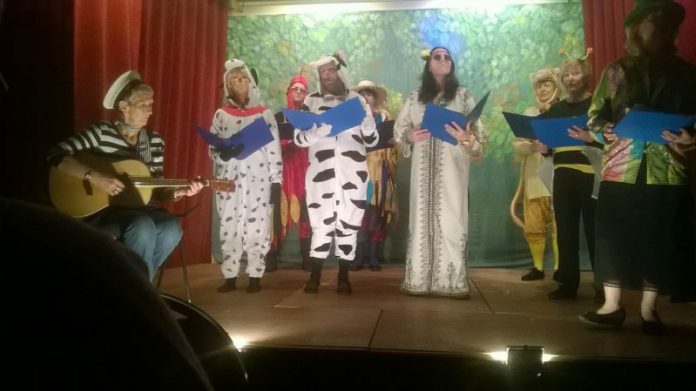 The Iden Players Chorus : "Life Explained"
Rye Ukulele Experiment (RUE) played at the panto evening in Iden village hall on Saturday April 8 and everyone seemed to enjoy the songs as we introduced the show “Ship to Shore”, a series of humorous sketches and songs with a nautical flavour. 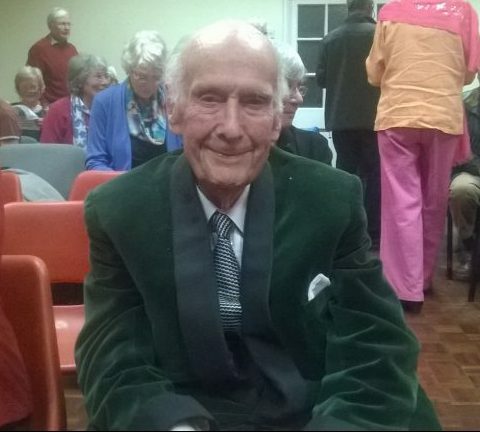 Actor Geoffrey Chater, 96, gave a reading of two John Masefield poems, Sea Fever and Cargoes. Geoffrey has lived in Iden for many years but also in London where he was an actor in many different genres including theatre and films, and is probably best known for his many TV appearances over the years, including Foyle’s War and Midsomer Murders. There were several songs by the Iden Players Chorus accompanied by Susannah Miller on the piano. John Harrison, accompanied by a RUE member Alison Catt, gave us a witty ditty about our local supermarket, “unable to find what he wanted on the shelves”. There was a very amusing sketch about the hapless Lighthouse Keeper, played by Christopher Strangeways. 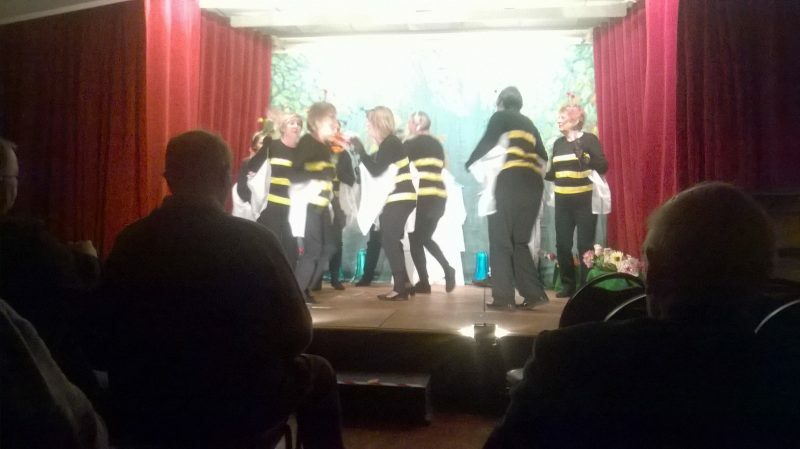 In the second half, the Iden Players Chorus entertained us, dressed in bee costumes, with a visit to Yvonne and Morris’s bee hive, together with a pirate sketch and ending with a song, The Iden Players Anthem. The performers deserve respect for not shying away from making us laugh and being silly in funny costumes. Congratulations, too, to Teresa Cooper who put the show together and was the producer. Also a thank you must go to Helen Gray who directed it and compered most of the show. Many volunteers were involved behind the scenes, especially with the variety of costumes. The audience were appreciative and there was a great deal of laughter. The proceeds of the raffle will be donated to St Michael’s Hospice and the Friends of Iden Church. Previous articleAttack of the drones?